LegUp LandinGear - Like Nothing You Have Seen Before This may be the most unique accessory you have ever seen for your Touring Bike. 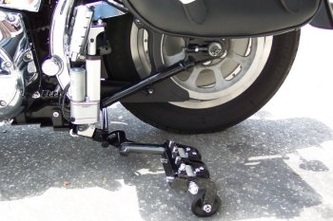 Imagine the ability to steady your bike as you come to a stop, have it held upright at a light or stop sign with your feet on the pegs (you really should put them down, but you don't have to!! ), then have the support automatically retract as you accelerate !! 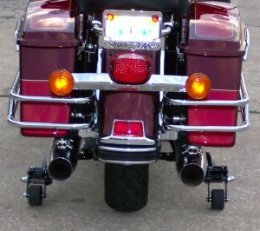 The Patent-pending Leg Up system was created for those who for whatever reason are concerned about, or unable to hold up these 850 lb monsters as they come to a stop. New riders, bad knees, bad hips, bad passengers (couldn't resist! ), or any other reason someone might want a little help keeping the rubber side down... This will do it! 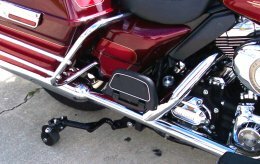 The system was originally designed for 1998 thru 2008 Harley touring bikes. 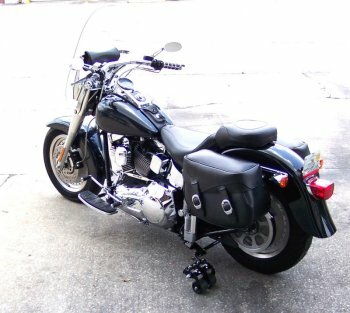 Recently it has been adapted to the new 2009 and 2010 Harleys. Now GL1800 & GL1500 Gold Wings, Harley Dynas & Softails, Yamaha Stratoliners/Roadliners & Triumph Rocket IIIs are available as well. 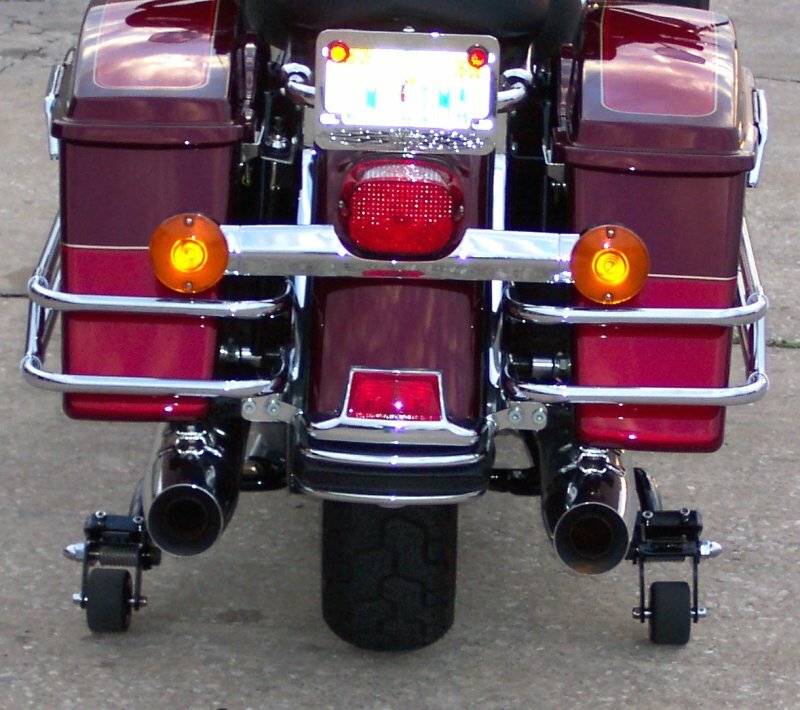 If you own an 87 or later Harley, see the NEWS tab above to learn how you can install LegUp on Your bikes as well! LegUp is happy to announce that the much anticipated 'LegUp Plus!' system is available. Now people who would like to avoid trikes, but need SIGNIFICANT help balancing their bikes, have a solution!